Universo Capoeira Ltd provides activities for its students, staff and members of the public on both membership and casual basis. These terms and conditions set out the way in which our services are delivered and what you can expect from us and members. Students paying either for casual basis or monthly , are agree to be bound by these membership terms and conditions. Terms and conditions: means the provisions set out within this document and constitute an agreement between Universo Capoeira and the student/ purchaser (you). Activities: means the activities carried out by Universo Capoeira for the duration of the classes, agreed by members of Universo Capoeira. Equipment: means any equipment under the ownership of Universo Capoeira or control of Universo Capoeira or otherwise present at the facilities that is made available to the Third Party or to which the Third Party has access for use in connection with the activities. Facilities: means the premises of the club/hall that Universo Capoeira hire to teach. Hire Period: means any and all periods of time during which the Third Party permits Universo Capoeira to use the facilities and its equipments. Special Event: means hire for special period only. Special celebration organised by Universo Capoeira. As part of the membership scheme, students agree to attend to the classes once or twice a week per term or per casual basis as well as pay for the insurance fee (annual or per casual basis) and enrollment provided by Universo Capoeira. Universo Capoeira is committed to support its students during the classes in a safe and respectful environment as well as in case of any accidents that might happen during the classes. Classes must be paid on the first day of attendance. If failed to do so, Universo Capoeira will accept bank transfer or payments can be accepted in the next class, if this carries on, an extra charge of 10% will be added. .Inappropriate language or attitude will NOT be tolerated. Instructor representing Universo Capoeira, will ask student to leave the class and probably the activity. Any fee paid will NOT be refundable. .Members must wear RDA uniform in all classes. For those students that have just joined Universo Capoeira, comfortable/sporty clothing is suggested. .Universo Capoeira suggests its students to train bare-feet. Students who wish to train with appropriate trainers are requested to have approval by the instructor. .Members must be responsible for their own belongings at all times. Universo Capoeira will NOT be responsible for any items lost or stolen. .Members are requested to advice Universo Capoeira if they have any concerns about members of the group, premises or anything in relation. .Members must constantly check Universo Capoeira website for any news or updated information. .Members are NOT authorised to use “other” rooms or facilities where the classes are held by Universo Capoeira. .Anyone found using equipments or facilities for other activities that are unauthorized for Universo Capoeira members, will be requested to stop immediately their activities and any further bookings will immediately be cancelled. Refunds will NOT be granted. 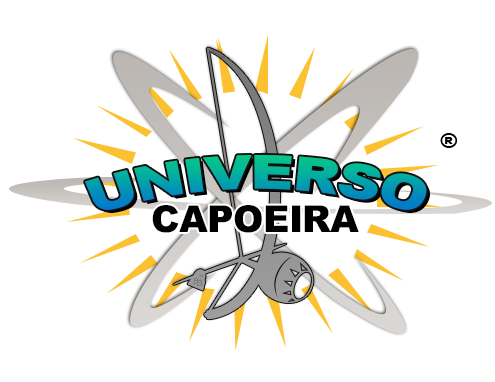 .Universo Capoeira is committed to have at least one instructor or a dedicated person from Universo Capoeira to lead the classes, which means that all activities provided by Universo Capoeira will always be supervised. .If it is necessary for Universo Capoeira to cancel classes, members will be informed in time. Students may opt for a refund or a replacement class can be arranged.
. If any of the rules mentioned above are broken, the contract between Universo Capoeira and the member will be ceased. Further bookings may be cancelled and maybe asked to refrain from attending any further Universo Capoeira activities.